Figen Yüksekdağ, former co-chairperson of the pro-Kurdish Peoples’ Democratic Party (HDP) who has been jailed since November 2016, has been handed down a prison sentence of six months on charges of violating election bans. The last hearing in Yüksekdağ’s trial was held at the Erciş 2nd Penal Court of First Instance in the eastern province of Van on Friday. Yüksekdağ was convicted over a speech she made at the opening of a bus terminal in Erciş on Oct. 27, 2015. Turkey held general elections on Nov. 1 2015. In her defense, Yüksekdağ said it was normal for her to attend the opening of the bus station in Erciş as a deputy from Van and that she did not make her speech when the election prohibitions were in effect, which is 24 hours before elections. 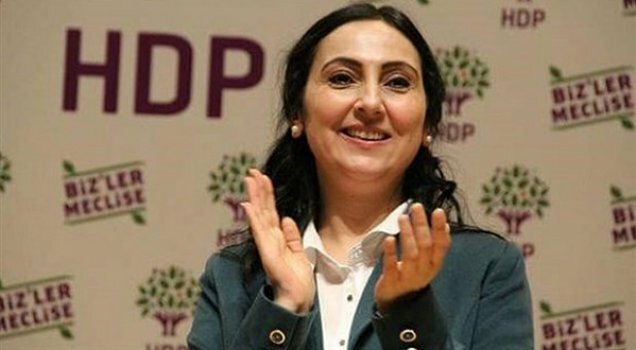 The sentence given to Yüksekdağ is the first handed down to a politician in Turkey for violating election bans. Yüksekdağ is currently jailed in Kandıra Prison. She faces a sentence of between 30 and 83 years on terror charges. The party’s other former co-chairperson, Selahattin Demirtaş, and several other deputies are also behind bars.